Ganpat University is one the state private universities to adopt “Student Startup & Innovation Policy” (SSIP) introduced by the Government of Gujarat. 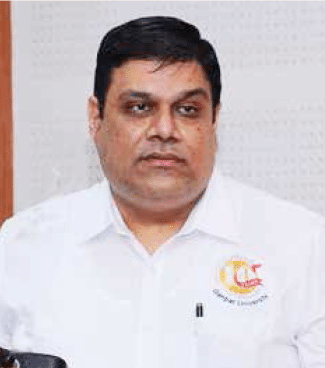 How is this university ensuring student startups receive right mentorship, infrastructure along with funding for their innovation, reveals Prof Mahendra Sharma, Director General, Ganpat University, in a conversation with Elets News Network (ENN). Ganpat University is one the state private university to adopt “Student Startup & Innovation Policy” (SSIP) introduced by the Government of Gujarat. How is the Ganpat University helping student startups receive right mentorship, infrastructure along with funding for their innovation? Level I: Idea Accelerator (Shishu) Anyone with innovative idea, which is initiated by an individual or group member including employees, students, local entrepreneur and/or alumni of the Ganpat University. Level II: Business Acceleration (Kishor) One who have started their business and are yet to be established to take it to the next level. This can be initiated by individual or group member including employees, students, local entrepreneur and/or alumni of the Ganpat University. Level III: Growth Acceleration (Tarun) Any business, which is already set up and established and generating early stage of revenue, can be initiated by an individual or group member including employees, students, local entrepreneur and/or alumni of the Ganpat University. We as a universiry, run many activities to generate ideas from students and have a variety of workshops to validate ideas at very early stage. Key objective of GNUIC is to create a holistic ecosystem to promote entrepreneurship. Create a support structure to handhold and encourage first line enterpriser. Provide continuous mentorship to the incubates or enterprises enrolled with GNUIC. We have a pool of skilled professors, industry linkages and a researcher associated with us. This set of resource pool will help students in getting right set of mentorship for their idea to convert it into PoC. We have a dedicated 5,000 sq ft infrastructure, operating 16 hours a day, to support startups at different stages. We are also government approved nodal institute for startups and innovation scheme, which allows our students to convert their ideas to PoC with initial funding. The university also has reserved fund to support student startups. What initiatives have been taken by Ganpat University to foster Student Startup ecosystem within the university? What are the processes for students to be eligible to receive grants and mentoring to their innovation? Ganpat University has started The World of Startup – a quarterly talk series on startups. This is the Association’s most exciting event of the year, as we are now an authorised nodal institution for incubation through Government of Gujarat and having in-house incubation center too. This year our team has worked to ensure a varied programme for students, incubates, professional venture capitalist etc. to provide networking platform and opportunities to explore the startup ecosystem. 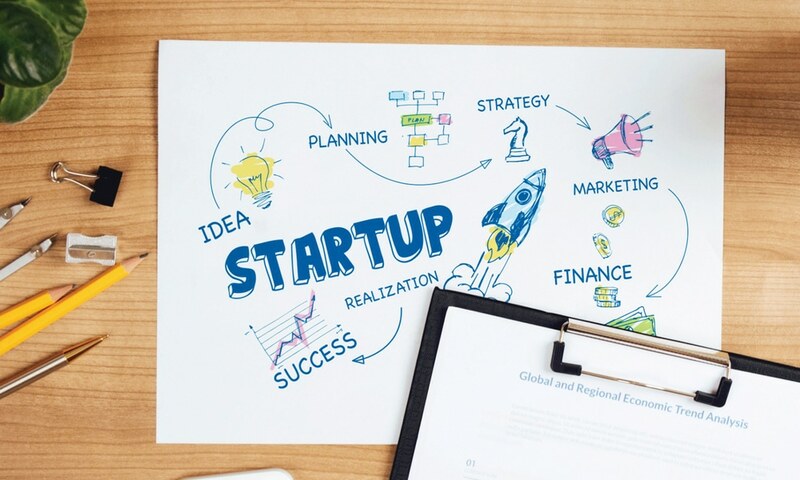 The main aim of this series is to showcasing the possibilities and path to get fund based on theme “Finding the Funding” for the start-ups, delineating and deliberating on start-ups, creating a networking platform for the startup community. We have our strong social media presence which will help us reach many local and global aspirants to join incubation at Ganpat University. We have an audit course on student startup and entrepreneurship and every year many students opt it to learn the basic aspects of startup and entrepreneurship through it. We have our own alumni network of more than 19,000 students and also have applications on mobile play store of Google and App Store of iOS to connect with them day-to-day and help fostering this culture among the students. We have a pre-incubation process to validate and improve the idea before they join our incubation centre, which results into more qualifying startup under the process. We have an innovation club in place for students currently studying to discuss idea and validate them. Entrepreneurship café is an initiative to promote the startup culture around the university and invite mentors, investors, motivators to guide the startups under various incubators. Campaigning through various talk series, workshops, innovation camps, ideation camps etc are the pipeline for efforts to promote incubation among students. The authorities of Ganpat University and all the staff members working in university and constituent colleges are constantly engaged in the development of sustainable student community development. Not every idea can be an innovation. How is the university refining students’ idea so that it can be converted into a prototype or a product? What assistance does the university provide to the student startups during the pre-incubation phase? We, as a university, run many activities to generate ideas from students and have a variety of workshops to validate ideas at very early stage. Not every idea is worth developing. We focus on what problems they are addressing. How it will have an overall impact on particular sector of area. Our design thinking and ideation workshops will help student develop problemsolving skills and refine their ideas at a better sustainable level. At Pre-Incubation level, we assist students on idea validation, surveying, and improving innovation through research. We provide them common working infrastructure with 16 hours daily operating capacity. Our inter-discipline mentorship programme helps in refining student ideas and convert into the PoC and building the right team. Cross institute faculty collaboration & research in Startup, Entrepreneurship and Innovation, MOOC Courses for Students and Entrepreneurs, Entrepreneurship Development Cell at each constituent department/institutes will help students in extending proper support system for their startup.